Have you been told that you need to have an MRI performed? Before scheduling the scan with someone else, consider the innovative open MRI technology available at Tahoe Fracture & Orthopedic Medical Clinic, where we proudly serve residents of Yerington, Nevada, and surrounding areas. What Does an MRI Involve? Your doctor probably asked you to undergo an MRI as part of the diagnostic process. 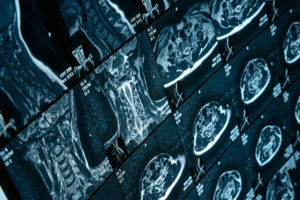 Doctors often use MRIs to diagnose and monitor various conditions because the scans provide such detailed images of organs and soft tissue, especially when compared to the images produced by an X-ray. Traditional MRIs require you to lie still within a tube-like machine for the duration of the scan, which may take approximately 45 minutes to an hour to complete. During the scan, you’ll probably hear a loud banging noise, which is the sound the machine makes when it’s taking a picture. If you’re claustrophobic, the thought of undergoing an MRI might be pretty scary. Fortunately, at Tahoe Fracture & Orthopedic Medical Clinic, we offer an alternative to the traditional MRI. Our open MRI technology eliminates the need for patients to be placed within an enclosed tube. Instead, they’re positioned on a wide, rotating table for the duration of the scan. This creates a much more pleasant experience for patients who don’t enjoy being confined within small spaces. It’s also an excellent option for larger patients whose size prevents them from fitting into the traditional MRI machine, as well as children who might feel more at ease holding a loved one’s hand during the scan. If you live in the Yerington, NV, area and you’d like to learn more about our open MRI technology, please contact Tahoe Fracture & Orthopedic Medical Clinic today.